Lewes in Sussex, England, is the place to be for the best and most traditional of Guy Fawkes Night celebrations. 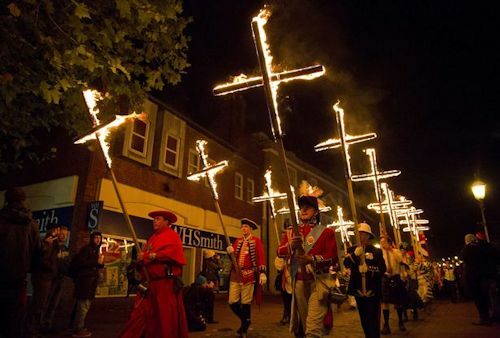 Effigies of Fawkes and, for equally historic reasons, Pope Paul V are burned in Lewes each year. 'No Popery' signs abound. Fawkes was seen as a Catholic agitator. 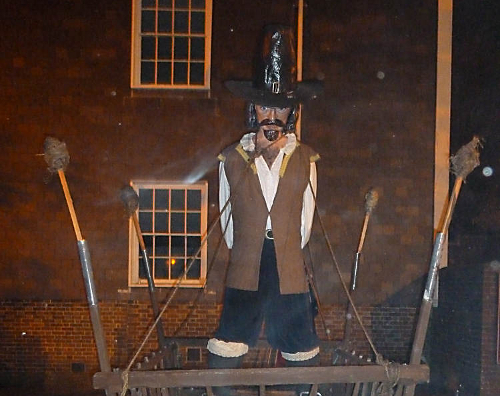 A previous effigy of Fawkes burned in Lewes (above) shows the infamous moustache and whiskers you see on those masks from Alan Moore's V for Vendetta. Contemporary effigies are generally put into the mix too. Check your newspaper headlines for likely contenders each year. No prizes for guessing who will be encircled in flames this year. In recent years, fireworks have taken precedence over bonfires in official celebrations of November the 5th in many other towns. True of our local event, although we also have carnivals that arose from King James' decree that this land should commemorate the events of November the 5th. 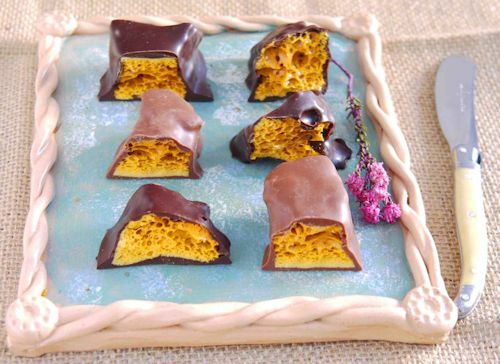 Nevertheless, we'll be attending the fireworks event with our traditional bag of Dark Chocolate Cinder Toffee (below) from Gorvett and Stone of Henley-on-Thames. I'd prefer to see a bloody great bonfire - a more earthy and primal spectacle to behold. Come on local authorities, more torchings, please.